At its given price, I would have liked to see a soft carrying pouch also included and some foam/flange tips, that offer a different fit for listeners. The inclusion of a 1/4″ adapter really bewildered me. I’m not quite sure why Yamaha have included it – do they think people will plug these earphones into their Yamaha receiver/amps? I think it’s one of the first times I’ve seen the inclusion of a 1/4″ adapter with a set of under £100 earphones. Overall the package contents weren’t that impressive and were uninspiring. Moving on to the build quality, I wasn’t that impressed with the choice of materials used by Yamaha. 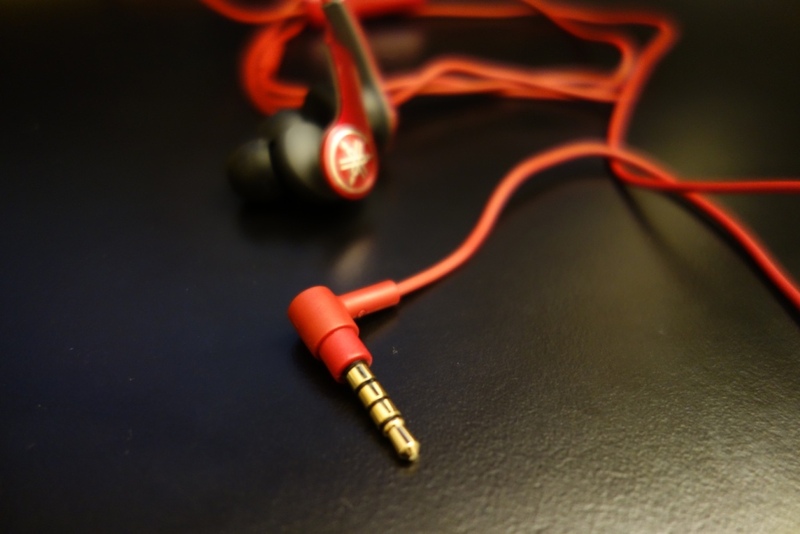 The earphones are terminated by a right-angled gold-plated 3.5mm jack. The cable that comes out of the jack is really quite thin and gets very easily tangled. What really annoys me most about the cable is the actual lack of attention to detail by Yamaha. 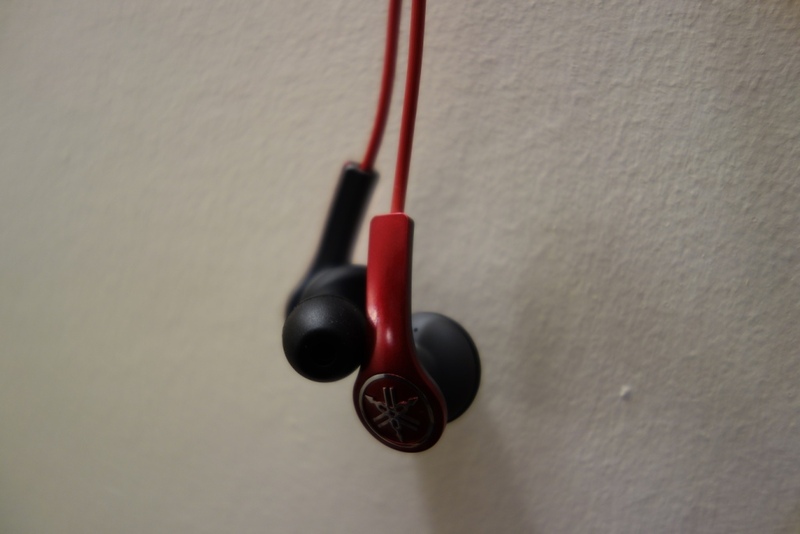 The cable looks and feels very cheap – and for a set of £10 earphones that would be acceptable, but for a set of £80 earphones, with a Yamaha brand on them – I can’t quite understand what the logic was behind the cable design. On the plus side, the cable has minimal microphonics. I should note that due to the design of the earphones, they are to be only worn straight down and cannot realistically be worn over-the-ear. Moving up the cable, there’s the in-line mic, which also provides play/pause, vol +/- functionalities on Apple devices. Unfortunately, due to the poles, the volume adjustment doesn’t work on Android devices, however the play/pause button does work as intended. Yet again, just as it is the case with the cable, the in-line mic looks really bad – made out of cheap (red) plastic – which honestly looks like something assembled and made in a low-cost factory. Again, I’m not sure why Yamaha have done this, especially considering they have to place this near their expensive amplifiers and receivers. The looks and design, (I’ll get to sound later) are simply poor. 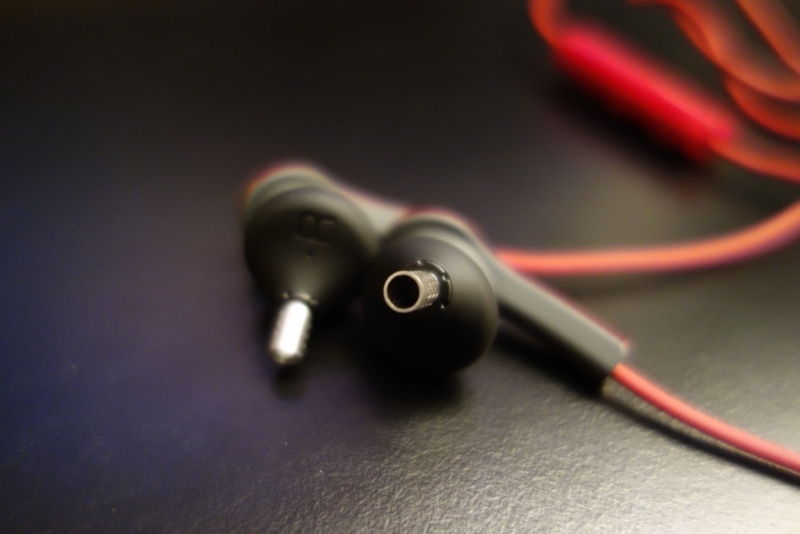 Moving to the housing of the earphones themselves, there is a left and right indicator indented on the inner side of the earphone’s housing. The shape and form of the earphone reminds me of the Audio-Technica ATH-CKS77, which were comfortable earphones to wear, had an amazing low-end sound, but were ultimately flawed by their cable noise. 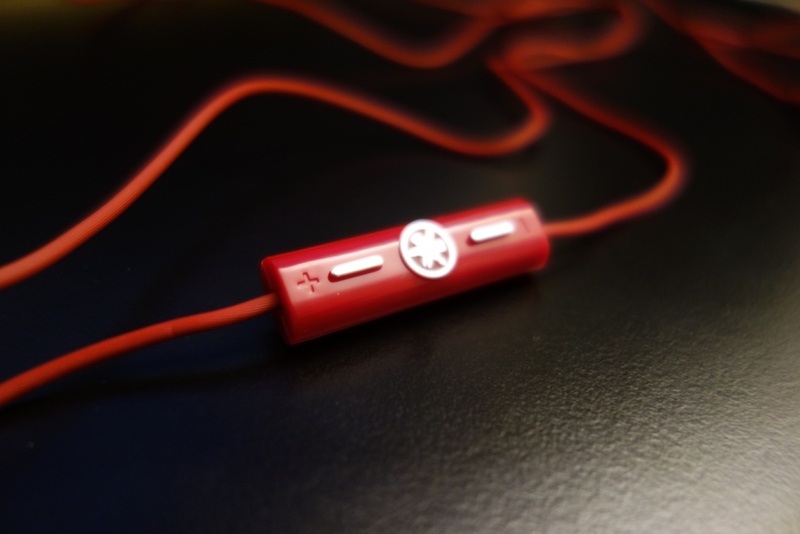 To found off the build quality section, I found the finish on the earphones themselves to look quite cool and modern, but at the same time to me felt a little out of place. It’s as if Yamaha are trying to appeal to two separate crowds, not only from their line-up of other gear, but from the contents of the packaging itself. For example, this look and design would potentially appeal to a young teenager, but realistically this crowd won’t have an amplifier at home – so the 1/4″ jack is utterly out of place – potentially some teenagers won’t have an idea what it’s used for. 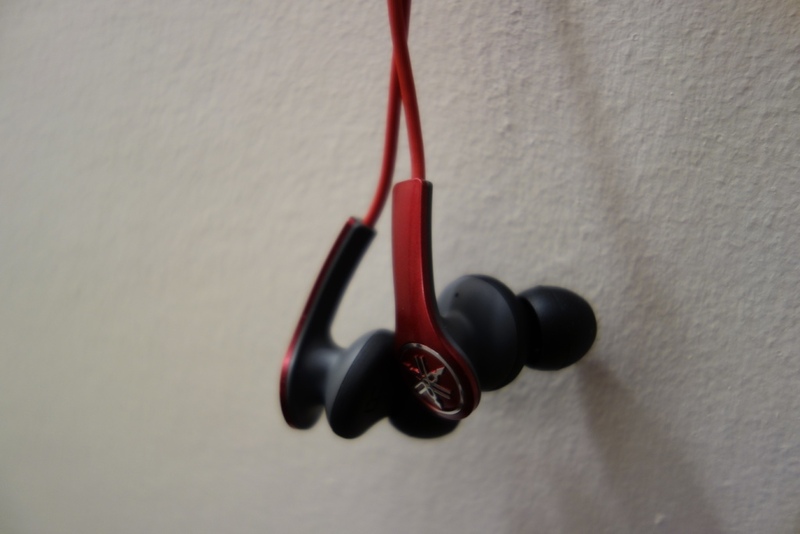 I am yet again curious behind the logic of the design of the earphones. 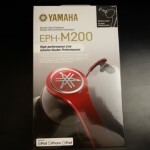 The old model the Yamaha EPH-100, looked the part – and felt in-line with the rest of Yamaha’s gear. Overall, I wasn’t that impressed with the build quality, but was happy to see very minimal microphonics, which came to me as a surprise considering the CKS77s were horrendous. As mentioned in the build quality section, I’m not a big fan of its looks. It does seem to be more appealing for a younger crowd, but at the same time I can’t see why Yamaha would target them – considering the other products they have on offer (such as amps, receivers etc). The design on the other hand is decent, as it’s a comfortable earphone to wear, however looking at the bigger picture, I feel the design, and by that I mean the choice of materials that lead to the overall image of the earphones, to be really poorly chosen. Was this to save costs or to make it appeal to a younger crowd? Either way I feel the overall presentation looks cheap and not fit for the right rand image Yamaha would like to present – just like with Denon, with their new “look” on their “new” line of headphones, which really made all of its previous owners (myself included) completely disappointed with their headphone presentation – although this is subjective, it’s still something to note. 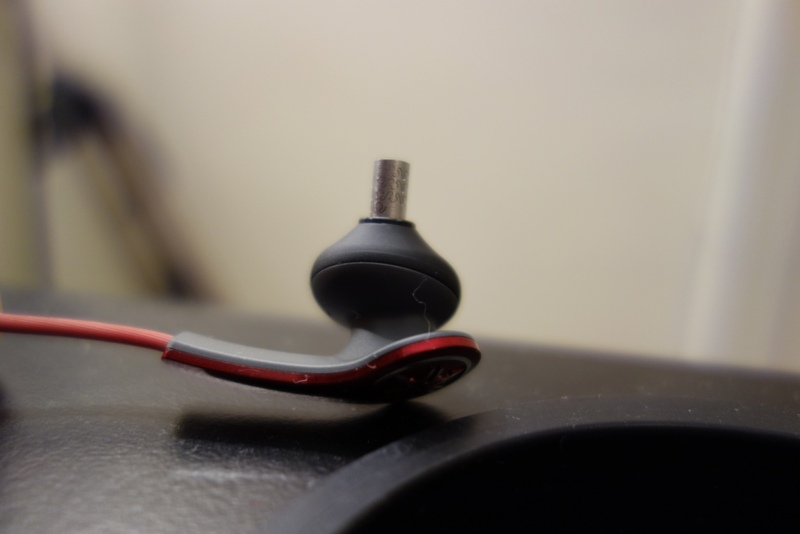 The isolation of the M200s was surprisingly good, although they did lack that extra isolation you get in other in-ears, which is mainly due to the design, it still did do well. I was surprised, as normally earphones of this type lack isolation. I found the earphones to be comfortable, potentially it was one of the highlights of the earphones. They could be worn for long periods of time and without any discomfort from any cable noise – They could therefore be worn for long periods of time. 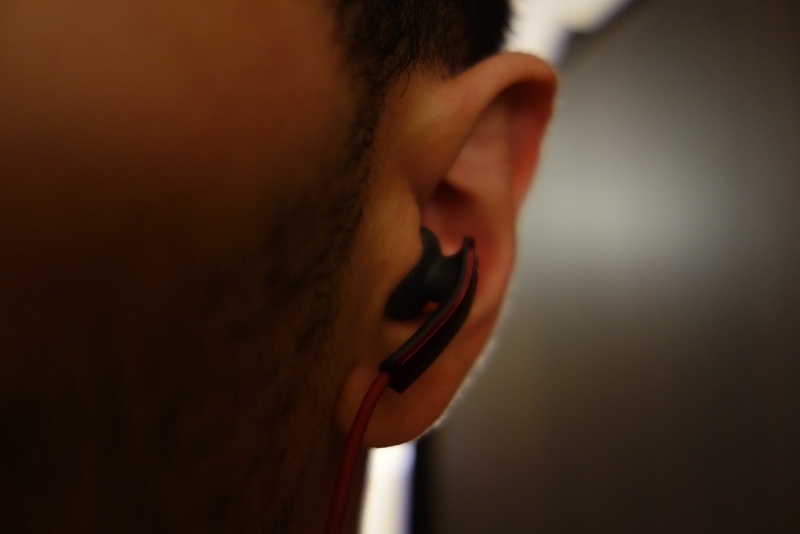 As stated in the build quality section, these earphones can only really be used straight-down, and not over-the-ear. 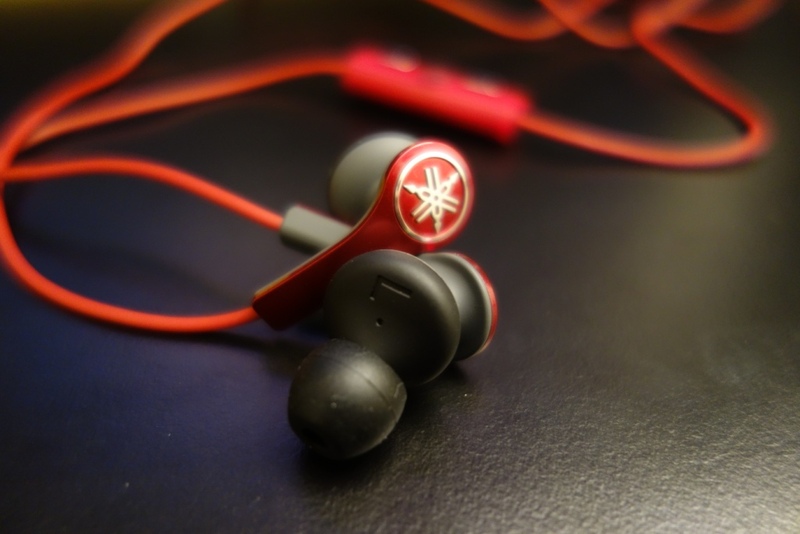 The sound quality was something I was heavily anticipating when I received them. With that said, my preliminary impressions, simply based off the look they had on the website were indicating to me that it would be an average sounding earphone, which I am generalising quite a lot here, but all earphones that look cheap, often sound cheap too – as there’s a lack of care and attention from a company. 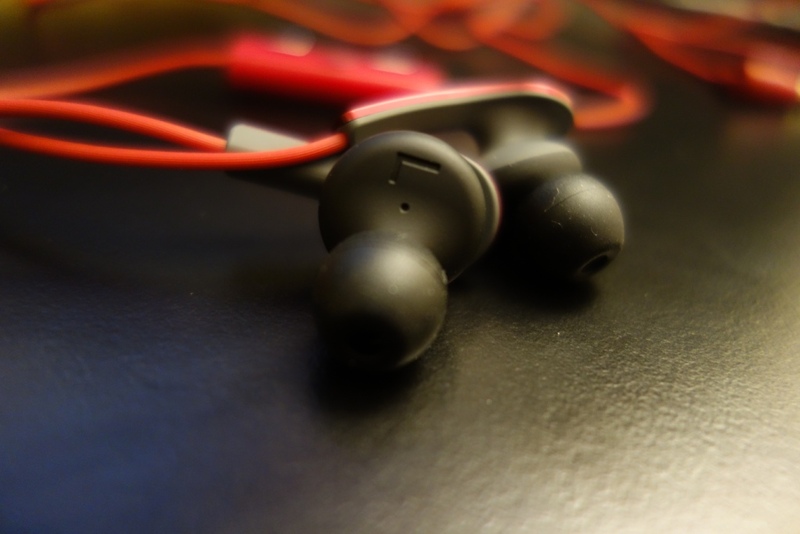 With that said, there have been times where an earphone doesn’t look or feel the part, but sounds sensational, such as the Monoprice 8320 – which are the best bang for buck earphones you might ever come across. My first impressions upon opening the box were: “these are really bass heavy” – and unfortunately, even after over 50hrs+ of burn-in, the first thoughts I had on the earphones was the end-product. The low-end was the dominant sound of the M200s, taking over a lot of the mid-range and overshadowing the highs too. It should be said however, the low-end had a lot of quantity, but very little quality. They simply didn’t extend well enough, had a mid-bass that was often uncontrolled and just didn’t give off a feeling of class. The M200s low end could only be described as over emphasised with a lack of real quality. Whilst listening to my music, at no point did I feel engaged with the sounds I was listening to and the low end just left me unimpressed really. Sure it had quantity, but without really quality, it’s pretty pointless. An untrained ear will think these are amazing in their low-end reproduction, but when put up against real basshead-orientated earphones, they simply don’t even stand a chance. As described above, the mids were effected quite drastically. 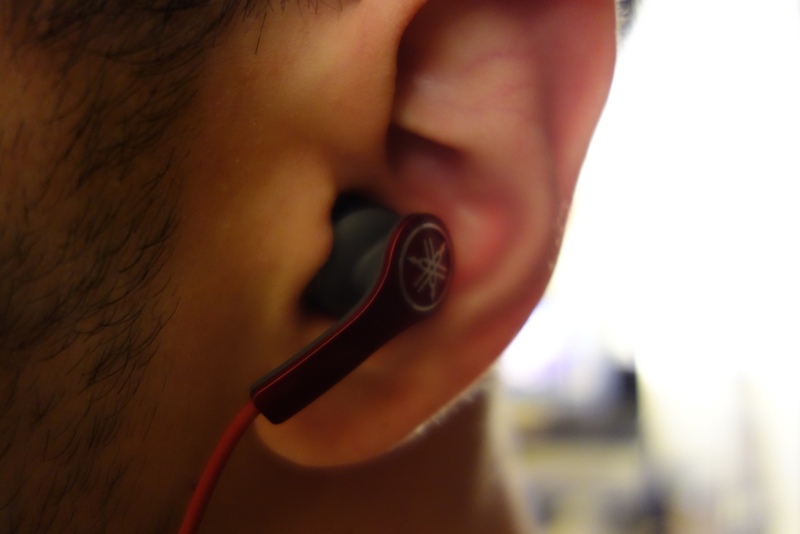 They simply sounded V-shaped, recessed and heavily pushed back with little space to breathe. It’s a shame as if the mid-bass was so overpowering, the mids would have been able to shine through a little better. It should also be said, that due to the confined soundstage, the M200s didn’t really sound open – which equated to an even worse representation of the mid-range. The highs were also disappointing, there was not much extension nor that much sparkle. It just didn’t really impose itself as being overly impressive and sounded at times quite dull. Overall, the mids felt pushed back, whilst the highs didn’t really shine through. The soundstage itself was again relatively unimpressive. I felt the sound wasn’t really being portrayed that well, and when I wanted to hear a bit of decay and instrument separation, the M200s just lacked any sort of grunt. Almost like a good football team, that simply can’t show any sort of creativity or imagination in play. This is what the M200s felt like – just not giving off that positive, energetic vibe I was expecting. 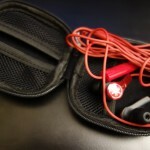 Overall, the earphones were not that impressive, from the package contents and looks, to the sound quality. There was nothing to really feel excited about nor an earphones I can see being very successful. I presume if an untrained, teenager were to have picked them up, they would be happy by the overdone bass punch and the “cool” young look they have. 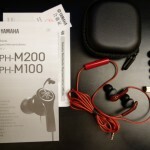 Personally, I think Yamaha haven’t done a great job in both designing the earphones or promoting a good brand image by having an earphones that’s mediocre at best. If I had bought these I wouldn’t have any confidence in then later buying their headphones, amps/receivers or even very expensive speakers. it just seems like the two (or more) departments are light years away from each other, which is a shame to hear – pun intended. 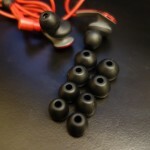 As an earphone that is very similarly priced, but sounds and looks miles better, is the DUNU Titan 1.